Some of the most interesting web services you can use with Xojo through remote API calls are related to Artificial Intelligence. There are many different APIs provided by the main players in the AI sector, but IBM’s Watson is by far the most well known. I’m going to show you how to connect to IBM’s Watson services with REST APIs and how to use them with Xojo projects to identify images. This is just one example, of course, of the many ways to utilize Watson and AI in your Xojo apps. IBM’s Watson services have been online for several years and are continuously updated. They are paid services but you can create a Lite user to test and evaluate them. The documentation and variety of services are huge and includes (among other things) image identification services. 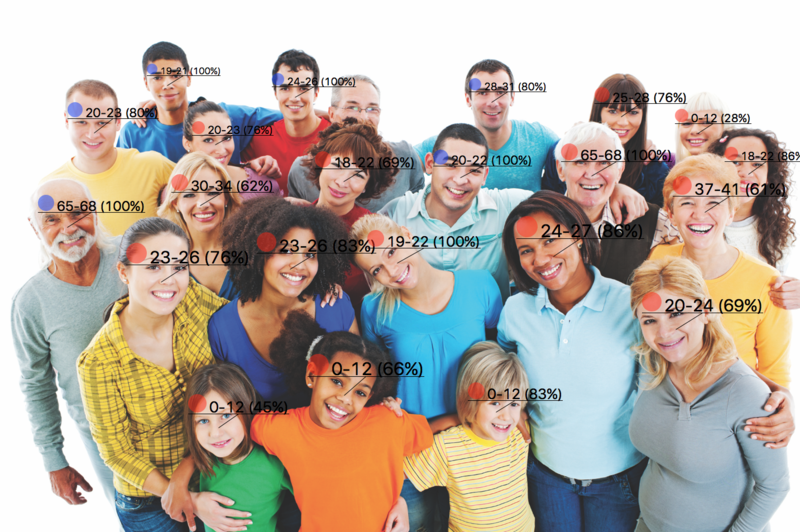 This service mainly offers two possibilities: identifying the faces in an image (returning the position, the probable gender of the subject and the probable age range) and the classification (i.e. the recognition of possible tags that can be associated with the image). The result is a probability, not a certainty. It’s up to your app to accept or reject the result and how to use it. For example, you can set a threshold and automatically accept the results and send the user the uncertain result to confirm or refuse. Watson’s Natural Language Classifier, is a service that “applies cognitive computing techniques to return best matching predefined classes for short text inputs, such as a sentence or phrase”. It is really large (and the definitions are localized in many languages); moreover you can create your own classifiers specific to projects. The Lite user can create only one classifier at a time that is replaceable but not updatable. Another limit is the number and total size of the images that you can use to address your classifier. Watson’s documentation is complete and easy to use. After creating the service in your account, you can start using them with the terminal or through the web page relative to the selected service. The services use a REST API so you’ll use Xojo.Net.HTTPSocket as the base class to create the object that will consume these services. To learn more about using Xojo with a REST API, you should read up on that before continuing: Cats Up: Using the HTTPSocket with the Cat REST API, PDF File Generation? There is an API for that and Web Services Video Playlist. In this example, the base class is called “WatsonAPI”. This class will deal with the communication with the API (sending and initial interpretation of the answer) and will have some common features (such as zipping several images so they can be sent all at once). Moreover, since the interaction with the service is asynchronous, the class will have to manage the serialization of the different requests and take care to return the result to the correct call. Now you’ll define two private properties: id and callback. You’ll use id to distinguish the various call, and callback will be the function to call when there’s a the result. Register is a private shared function that assigns the identifier to the object and saves the pair id, object in a shared dictionary. There’s also a deRegister function that will delete the object whose identifier is passed. As noted before, you’ll use a dictionary to represent the API result because it’s the format used for positive or negative API replies. Moreover, we can use the same format for network error replies. The dictionary will contain at least 3 values: success as boolean for a positive or negative reply, status as integer for the reply http status and result as text or dictionary to represent the current reply. Since it’s a dictionary, we can easly add more information as needed. Subclasses or consumer classes can transform this data structure in a more specific way (class, record or whatever). Now you can create a subclass to classify the images: WatsonVisualRecognition as subclass of WastonAPI. If useIBM Then usedOwners.Append "IBM"
If usePersonal Then usedOwners.Append "me"
Where analyzeResponse is the method that will read the results translating the Dictionary into something useful like actions for a database, a textual list or a simple text message. Starting from this simple method, it is possible to create all the others, adding a bit of utility functions to the WatsonAPI base class. Starting from this object it is easy to create an application to generate, update, and verify a classifier that is specific to this solution. While you can do it with the provided web interface, you can create a Xojo app that can return the feedback in a much easier and manageable way; and you can add some methods to automate the process of automatically discarding bad images and adding new ones in order to refine your classifier better. Watson’s API services allow you to add a bit of artificial intelligence to your Xojo projects. The simplicity of the classes required to do this are clear proof of Xojo’s versatility. It’s important to keep in mind that this service is not instantaneous. This is due in large part to network traffic; generally for sending the data and receiving the answer. A really interesting option if you develop for MacOS would be to download your classifier in CoreML format and use it offline with MBS Core ML plugin. Antonio Rinaldi is a professional engineer, Xojo developer for almost twenty years, Xojo evangelist for Italy since 2014, consultant and teacher. He develops extensions for Xojo iOS that you can find in the Xojo Store, and manages XojoItaliaBlog.com. Musician, composer, lover of good food, traveler and constantly curious, he is always looking for new ideas to expand his knowledge.